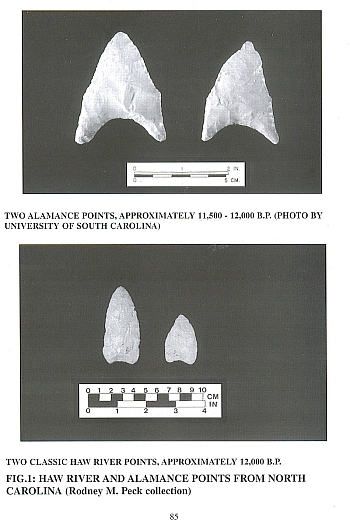 The Baucom Hardaway Site is a stratified multi-component Indian site that has produced artifacts from the Paleo Indian, Archaic and Woodland Periods. 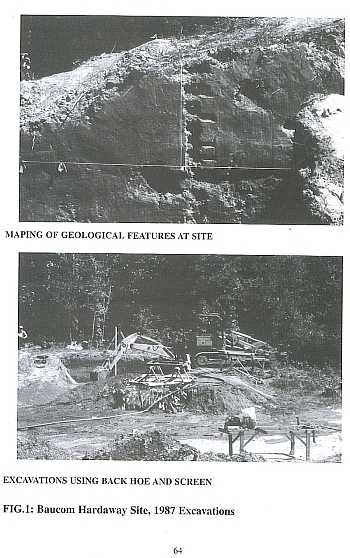 The site has been excavated twice – first by members of the Piedmont Archaeological Society of North and South Carolina from 1979 to 1982 which is covered in Chapter 1 and then a second time in 1987 under the direction of Dr. Al Goodyear of the Institute of Archaeology and Anthropology, University of South Carolina and Dr. C. Vance Haynes of the University of Arizona, with volunteer help from the Piedmont Archaeological Society. Recently, there has been much discussion and controversy concerning “pre-Clovis” sites in North and South America. 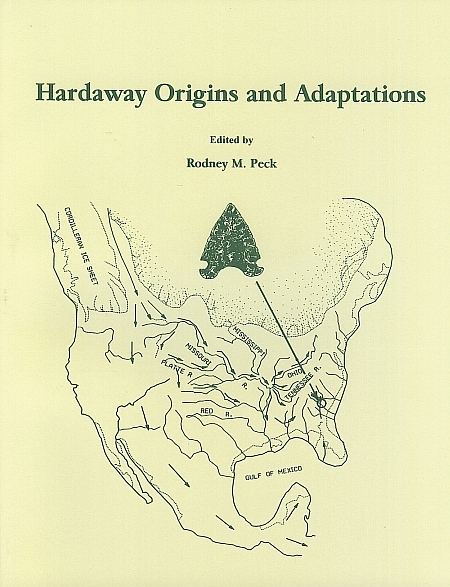 Studies by the late archaeologist Floyd Painter concerning the movement of Early Man into the Americas gives good evidence that his theory on the evolution of Paleo Indian projectile points in the Southeast is coming closer to reality: therefore, his theory and placement of the Hardaway Culture is covered in this report. A stratified site with good, datable charcoal of the magnitude of the Baucom Hardaway Site deserves the most thorough analysis and study that modern scientific technology can offer and this is why a fully 50% of the overall site has been retained intact for this purpose.